A good garden gate serves so many purposes. It keep children and pets safe from the outside world, it gives you an important yet secure access point to your garden and it can also be a design element that lifts the entire aesthetic of your garden. Everlast Services have been making garden gates for over 20 years and no matter what design you’re looking for you can bet that we have the skill to make it happen. We can provide you with an almost unlimited number of looks and finishes. Whether you want aluminium slats for a modern and low-maintenance look, Colorbond to create the classic Aussie backyard, steel metal fencing for something classic and elegant or timber for the ultimate in natural beauty we have a skilled tradesman on hand. We can also provide you with double, single, sliding and even automated options to suit your backyard, your space and your budget. 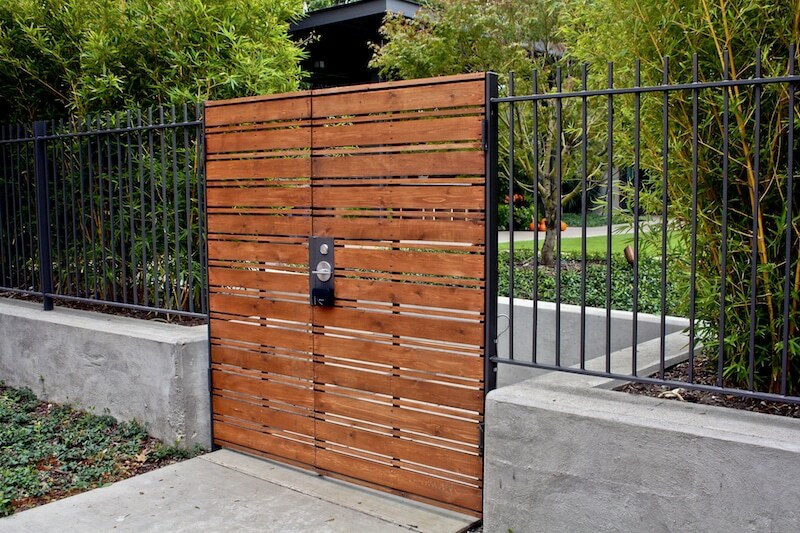 Every garden deserves a gate, so stop putting up with having to jump fences or keep a constant eye on children and pets because Everlast Services will give you their garden gate of your dreams without breaking the budget. We fabricate all of our steel products in our Hoppers Crossing factory in Melbourne. This allows us to enforce strict quality control procedures on all of our products and it also allows us to cut costs for our customers. We also have strong relationships with local suppliers, which allows us to purchase timber and other products at far reduced prices and we always pass these savings onto you. We bet you’ll be pleasantly surprised at what we quote for your garden gate. We provide a full suite of home improvement services, we can take care of all of your fencing, landscaping and concreting needs meaning you can engage in a full backyard beautification service and only have to deal with one quality service provider. Our expert team has over 20 years of experience. There’s no space we haven’t worked with or problem we haven’t had to solve. Our time in the industry has also given us an understanding of the importance of good communication and operating with complete transparency.